Angela McLeod has been advocating for women for a very long time and is now president of UN Women Aotearoa New Zealand. To commemorate International Day for the Elimination of Violence against Women, yes that is White Ribbon Day coming up next Tuesday the 25th, UN Women Aotearoa are holding an event called Journey to Justice, to launch a project that aims to reduce violence against women in the Solomon Islands. 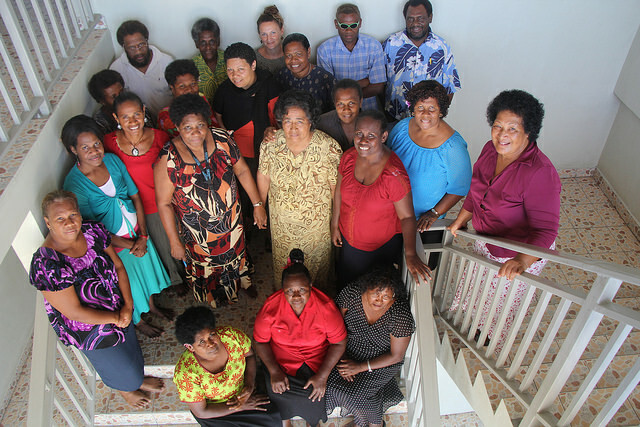 In this interview Angela explains what the UN Women NC Aotearoa do, why it is important for us to support our Pacific Sisters in the Solomon’s and a small but effective thing we can do in everyday life to shift our attitudes toward equality for women. Did you know there are 600 000 people located across 9 provinces and over 100 languages in the Solomon Islands. Approximately 2/3 of women in the Solomon Islands have reported experiencing physical or sexual violence ( according to 2009 study). 37% of sexual violence happens before the age of 15. Violence against women is widely accepted by both men and women. There are relatively little support services or other forms of assistance for women who have experienced this abuse. This entry was posted in Social & Civic and tagged Ethical, Human Rights, Sustainability, Welly Women by lauriestarfish. Bookmark the permalink.